BoardShare™ delivers portable smart board capabilities that enable interactivity and collaboration on any surface. BoardShare is a portable and interactive technology tool that allows users to create their own personalized digital whiteboard experience. By inviting users to draw, annotate or even surf the internet together, BoardShare can turn any space into a collaborative workstation. 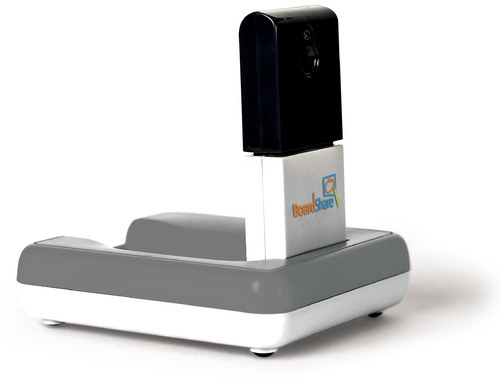 BoardShare comes with several components, including software, a camera device and a stylus that enables the whiteboard digital technology. To get it started, just connect the camera to a computer and any display technology. 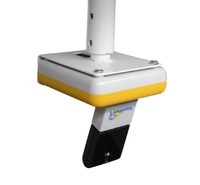 This can be a projector – if using a projector screen to display the digital whiteboard – or an LCD screen. Once it’s plugged in, place the camera in front of the screen to make sure it is ready to see and calibrate the display surface. BoardShare will enables you to control your computer remotely from the displayed surface. They can start work on a blank digital whiteboard screen. They can navigate the computer from the display surface to open any existing document or even a webpage. Either of these options can be done with the whiteboard digital stylus, which serves a dual purpose: Not only is it a writing tool, but it also works just like a mouse. BoardShare’s stylus allows users to annotate on any screenshot, whether it is a blank digital whiteboard page, a webpage or an existing computer document, such as a PDF, a spreadsheet or even a word processing file. And once you’re ready to move on, any work can be saved with the click of a button on the BoardShare camera. Screenshots of work can be saved directly to a computer, where they can be printed, emailed or kept safe for a follow-up meeting. Create: Annotate an existing presentation or digitally create fresh new ideas. Capture: Save your notes or designs then share them by email or print. Collaborate: Take turns on the interactive display surface or use web conferencing software, enabling remote teams to add or change the content too.